Customer Relationship Management (CRM) systems are being widely adopted by today’s organizations. Every growing business in almost all niche markets is adopting CRM to track and manage its leads and prospects. If you’re still doubtful that your business needs a CRM, then you need to check these 7 signs your growing business needs a CRM software. So are you buying your first CRM system? Whether you’ve already zeroed in on the CRM system that you need for your business or you’re still in the consideration stage, there are certain things that you need to do before you buy your first CRM system. You may have already selected a CRM software that suits your needs and requirements. Yet, you should not sign a contract until you’ve considered all the possible options. Compare the features and prices of all the similar options that you think are perfect for your business. Next, you can get your leadership team on board with the new CRM. This can create a huge impact on the long-term success of the CRM as well as your business. You can also have a meeting with all the stakeholders, show them how CRM will add value to their respective departments and then come up with a firm strategy for the project. When it comes to CRM, most sellers are open for compromises. No matter it’s an on-premise or cloud-based system, you need to negotiate for a safer contract. Make sure you read the fine print related to the pricing and fees, data ownership, renewal terms, security, and updates. With slow user adoption, poor training and difficulty in adapting to new workflows, initiating CRM can be a challenge in itself. So you need to hold an employee training program that focuses on adopting the new time-saving features of the CRM system. Measuring ROI is necessary to evaluate the results and to decide whether your CRM is failing or succeeding. More often than not, the real ‘cost’ of a CRM is complicated than its price tag. Thus, you need to establish a baseline before actually implementing the CRM so you can compare the new data with it. Setting up your first CRM may seem overwhelming at the beginning. CRM systems do come with some amount of complexities, but if you’re clear about the scale of your needs and strategies, the CRM that you’ve chosen will definitely bring success to your business. 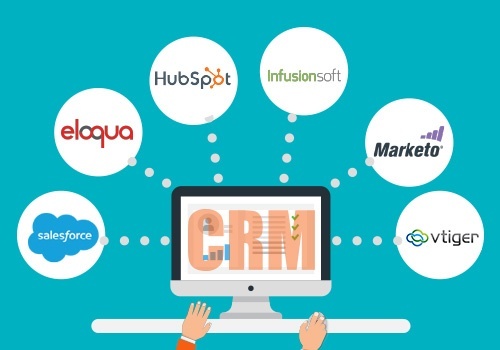 Here are the 8 compelling reasons why you should consider HubSpot CRM! This will definitely help you choose better and faster. Need assistance to get started with your first CRM system? Connect with us for a free consultation!